A new Polk research study shows that only 35% of hybrid car owners return to the market to buy another hybrid. Are hybrids really that awful? According to Polk, only 35% of hybrid car owners return to the buying market to buy another hybrid. The rest are buying non-hybrids. This rate drops to under 25% of you remove the Prius family from the mix, as the Prii have a very high sales rate and Toyota over all has a high retention rate. The data comes from vehicle sales analysis from 2008 to 2011 and Polk is one of the largest and most respected automotive research and data providing firms in the industry. The study also shows that there is some good news for automakers on the face of this: brand loyalty is high, so those who owned a Toyota or Honda hybrid were very likely to buy another Toyota or Honda - just not necessarily another hybrid. Polk's conclusion is a good one: people are interested in saving at the pump, but aren't necessarily hooked on hybrids to do so. Consumer Reports shows similar information through their surveys of potential car buyers, reporting that 83% said they would pay extra for fuel efficiency, though talk and action are not always the same - as purchase numbers are showing. 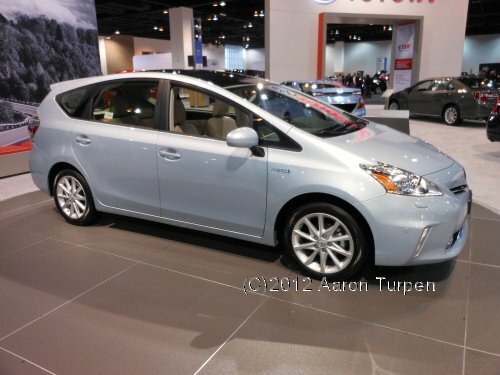 So why are hybrid owners not buying more hybrids? The trouble here is that an apples to apples comparison within the industry is not really possible. While we can find numbers to say that most Toyota buyers stay within the Toyota brand when buying another car or that most SUV owners will buy another large vehicle (SUV or crossover), we can't really compare hybrids in the same way. There are just too few available to make an equal chart. One way to compare this 35% re-buy number with similar numbers in the market is to look at consumer brand retention in automotive. This approach has some problems, as it's definitely not an apples-to-apples look, but it's the closest we can muster. According to JD Power and Associates, most brands enjoy fairly good return buyer numbers. Hyundai is at the top of that list at 64% while Ford and Honda came in at 60%, but the industry average is just 49%. Still, 49% is much higher than 35%, so it would appear, on the face of it, that retention of hybrid buyers is not as good as overall brand retention numbers. There is one big caveat here, though: these are overall manufacturer brands, not individual vehicles. Hybrids, for most manufacturers, make up only one or two models within the entire brand. Given all of this - the hybrid price premium, the limited selection of models, and the number of high-efficiency non-hybrids on the market - it's actually good news for hybrids that over a third of their owners come back to buy another. Maybe instead of hybrids, they all bought GM cars with eAssist!